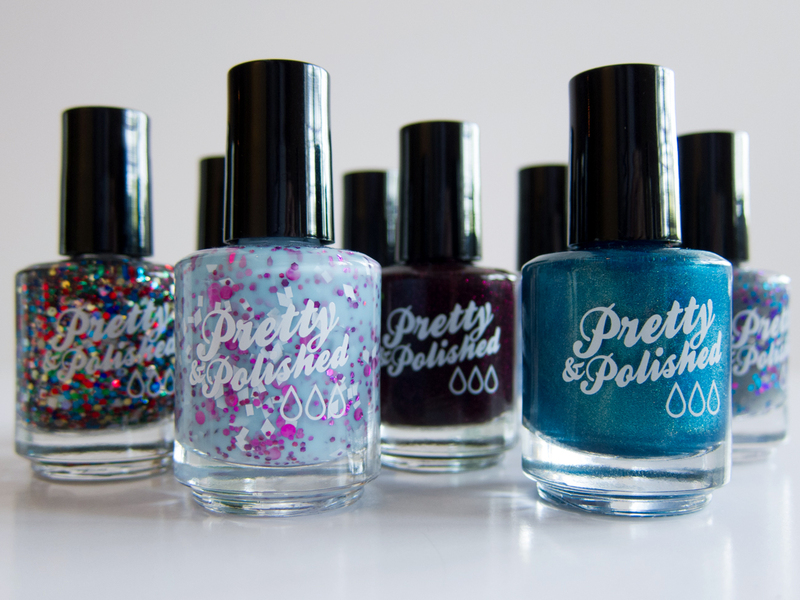 Pretty & Polished was my first indie polish experience ever and is still incredibly close to my heart today. This winter, Chelsea and the rest of the P&P team have released a fun collection of 9 shades that are intended to be wearable all year long. One lucky reader will have the opportunity to win the entire winter collection, which includes glitter, thermal, holo, and shimmer polishes! 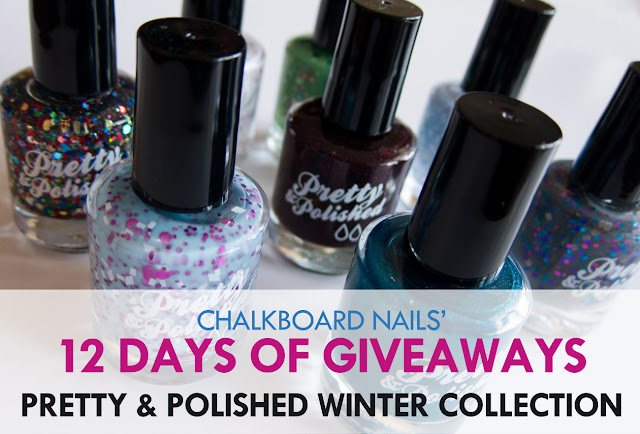 Check out the full lineup via Pretty & Polished, and then read on to enter to win. My favorite of the bunch is Fireside Kiss, a deep red jelly shade with gorgeous magenta sparks. You can see a little tease of it in the center of the photo above. Please enter using the Rafflecopter widget below. Must be a follower of Chalkboard Nails to win. Must be 18 years of age or older, or you must have your parent's permission to enter. This giveaway is open internationally, and closes on December 13, 2013. Prize will be shipped by Pretty and Polished. The winner will have 48 hours to claim their prize, after which a new winner will be chosen. Pretty & Polished was my first indie, too! They were my first indie too! Thanks to your Adventure Time swatches. I love this brand. I need this collection in my life. I've just done it! I want them! THANK YOU FOR THE CHANCE TO ENTER YOUR GIVEAWAY..